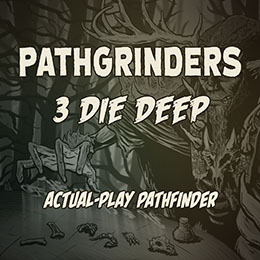 On the newest episode of Heavy Gigs in Sea Side City we find our adventurers knee deep in a sticky situation. Otherworldly blade-armed beings are bearing down on our badass B-Sides while the anarchistic Arcane Mark makes small talk. All this and more on this episode of Heavy Gigs in Sea Side City. Our rag tag band of 70s heroes are caught in a standoff against Gypsy militia/caterers and biker werewolves! Plus Dan brings the group on a trippy vision, Vanessa’s past comes back to haunt her, Buddy White kisses his fists and Johnny throws the were-dogs a bone! 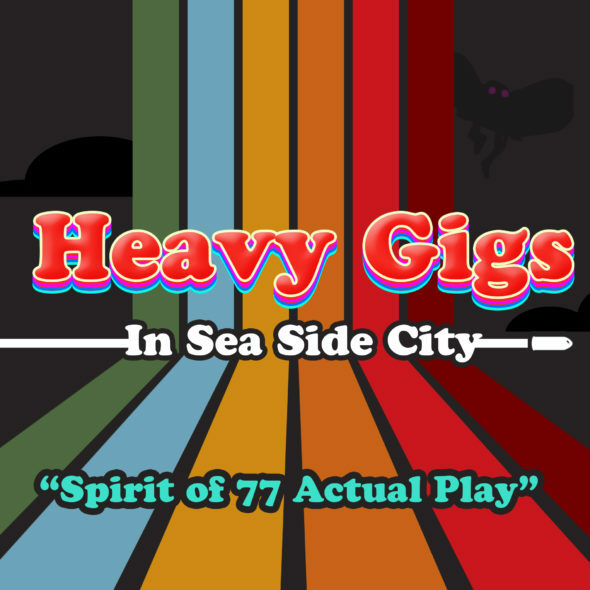 All this and more on the latest episode of Heavy Gigs in Seas Side City! Wolfmen, mind control, Gypsies, and fanboys, all on the back lot of Vizgig studios! Join us as our do gooders get drawn deeper into the mystery of the musky green menace. Dan has harrowing visions of asphalt angels. Vanessa arms herself with ancient weapons of wonder. Johnny discovers some strange future tech in the past, and The Great Buddy White regales a group of avid fanboys with tales of Maniac Crazy-Person and Jackalope Jim. All this and more on this episode of Heavy Gigs in Sea Side City! The B-Sides have stumbled into an eldritch conspiracy that threatens the very sole of Sea Side City! Join our groovy gang of go-getters as they dive deeper into the mysteries of the musky, mutating herbs of harrowing, horticultural horror! Witness the murderous machinations of the masked menace known as The 3 Deadly Forms and find out if our funky fresh friends can fend off there fiendish fearful fighting styles! All this and more on this episode of Heavy Gigs in Sea Side City! Heavy Gigs Ep 02: The Secret Ingredient is….DEATH! The plot thickens for our BSides as they track the StarFall Daisho to the Iron Crab market only to be confronted by Chairman Kaga and his elite army of killer chefs! But will they be friend or foe? Join DJ Anton K and B-sides John, Bob, Jason and Jim in their next 70s-tastic adventure! Coming at you straight from the world of 1970s action movies and TV, it’s Spirit of 77: Heavy Gigs in Sea Side City! Join DJ Anton K and our players, John, Bob, Jason and Jim, as they embark on a story full of muscle cars and Magnums, kung-fu and car crashes, disco, detectives and destruction! 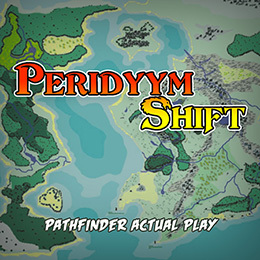 Not your daddy’s D&D; this role playing game takes place in the 1970s that only existed in movies and TV of the time! Get ready for funky action and cool grooves!